A set of 6 kinds of traditional flavor jams; each one handmade using fresh fruits. Enjoy the rich yet fresh flavors. The BEERENBERG Family Farm is located in Hahndorf near the Adelaide Hills. For over 150 years and for six generations, they have been producing fruits, vegetables, and jam. Their jams are made without using any artificial additives, and brings out the flavor of freshly picked ripe fruits to the greatest. 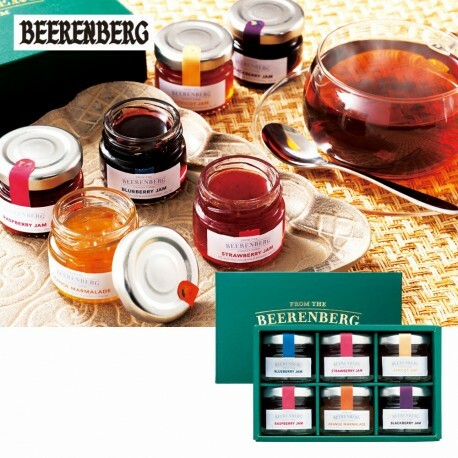 The BEERENBERG jams are highly reviewed by hotels, restaurants, and airline companies in Japan.